Westan Homes is more than just your average home builder. The owner, Robert Stanley, has an outstanding reputation for quality and fair dealing, and is committed to customer satisfaction. 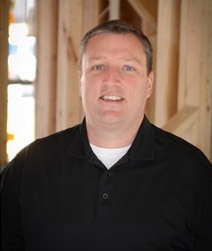 After attending NC State University, Stanley received his General Contractor's license in 2004 and began constructing livable home designs for families in all seasons of life. Robert recognizes that ownership of Westan Homes is a blessing which is why he is on a mission to pay it forward by creating livable and comfortable spaces where families can grow. The Westan Homes team motto is "the foundation of a great family is a great home." This is a driving factor in company decisions and the team is confident it shows in the finished home product. Based locally in Garner, and with knowledge of the area, the team at Westan Homes is equipped to help you find a home that will fit your families needs. We look forward to growing our Westan Homes family. Learn more about how we, as a local home builder, are giving back to the community.